Apple will be going forward with the 7-inch iPad, currently targeting an October 2012 release alongside the new iPhone, and -- here's the killer -- at a $200 to $250 price point. According to our sources, the reason for such aggressive pricing is to do to the tablet market what Apple did to the MP3 market in 2004 with the expansion of the iPod product line -- leave absolutely no space for competitors. We haven't gotten a firm read on the exact screen dimensions, so we're using 7-inches generically here. Our sources have indicated, however, that the 7-inch iPad will be identical to the current 9.7-inch iPad, just scaled down. While that might raise hopes for a 2048x1536 resolution Retina display, just like the new iPad, it's more likely Apple would stick with the same 1024x736 display currently found on the iPad 2. If that's the case, Retina display would make an appearance in a future version of the product. While Apple's late co-founder, Steve Jobs, was famously dismissive of 7-inch tablets, calling them terrible and dead-on-arrival, he also said no one wanted to watch video on an iPod and that Apple wasn't interested in making a phone. One of Jobs' chief criticism of the 7-inch form factor was its impact on software -- that competitors stretched out smartphone apps instead of making iPad-class apps. Obviously, Apple's 7-inch iPad would run the same apps as the current 9.7 inch app, though scaled down. While that will affect design elements like touch targets, and may cause some developers to approach iPad apps in different ways, it's better than introducing a 3rd interface size to the mix (in addition to iPhone/iPod touch and 9.7-inch iPad). Apple previously addressed the lower price point by keeping the 2011 iPad 2 around at $399 following the launch of the new iPad. Rumors of a 7-inch iPad mini have been around since just after the launch of the original iPad in 2010, and picked up speed when competitors like Samsung, RIM, and Amazon began offering 7-inch tablets. Some, like the Kindle Fire, are already at the $200 price point, using cheap to compete with good. While Amazon won't talk sales numbers, and none of these devices can really be called successful at this point, to a certain segment of the market, cheap is what matters. Apple hasn't chosen to address that segment in desktop or laptop computers, or in phones, but they have in MP3 players and it sounds like they will again in tablets. And they'll do it in the same way -- by being cheap and good. 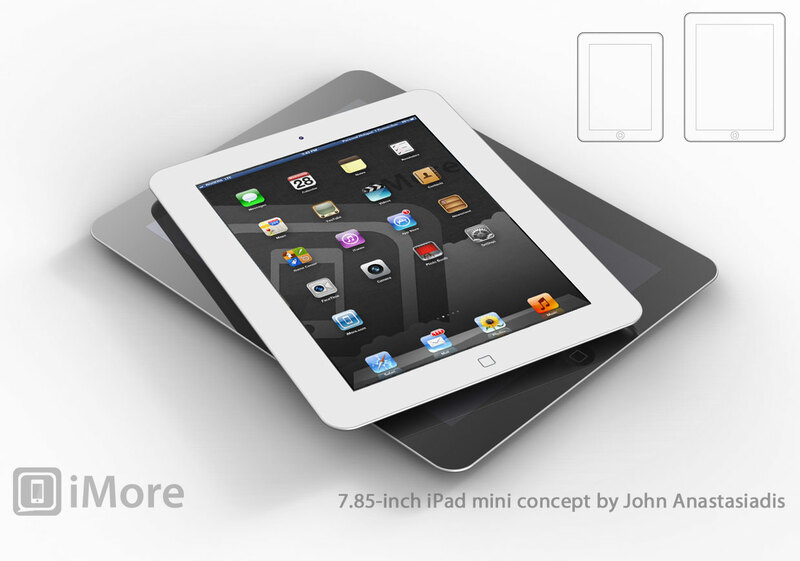 For large scale markets like education, a 7-inch, $200 to $250 iPad would be compelling. Steve Jobs' tag line for the original iPad was "...our most advanced technology in a magical and revolutionary device at an unbelievable price". Sound like Apple is getting ready to be even more unbelievable. Update: This article has been updated to reflect more recent information, namely that Apple will likely start with a standard display and move to Retina display in the future version of the product.